Preheat the oven to 350 degrees. Place the walnuts in one layer on a rimmed baking sheet. Bake for 10 minutes, or until lightly browned and fragrant. 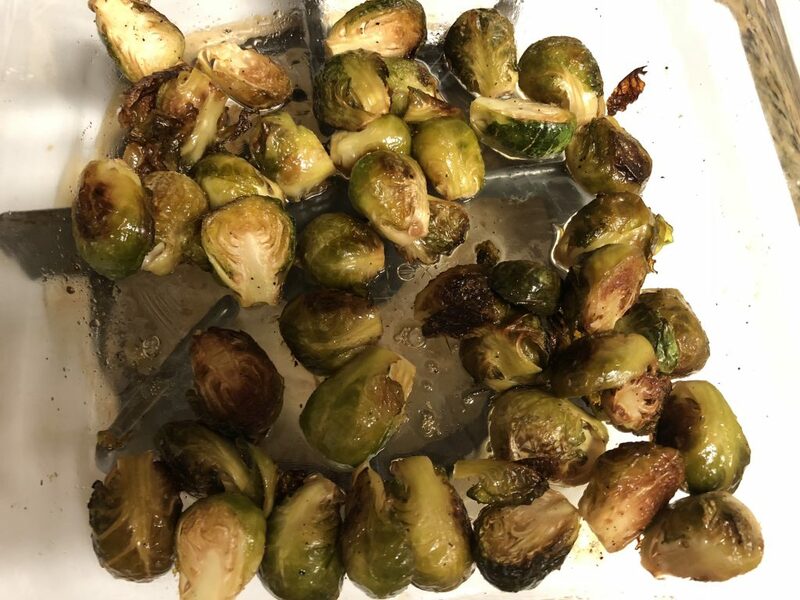 Keep an eye on the nuts–they can burn quickly. Set aside. 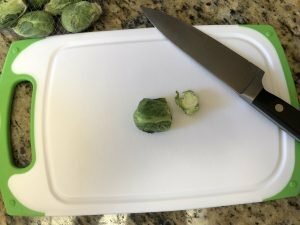 To prepare the brussels sprouts, cut off the stems, remove any yellow or brown outer leaves, and then cut the sprouts in half. 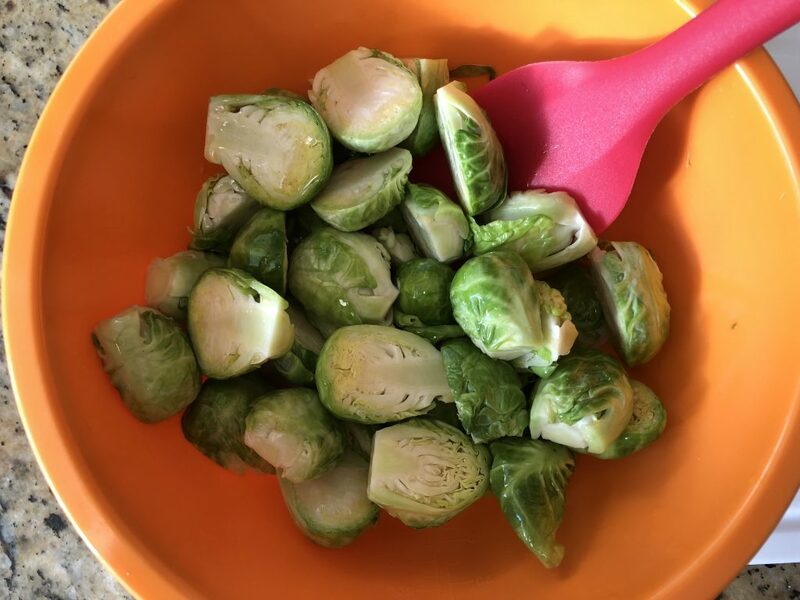 In a small bowl, toss the brussels sprouts with the olive oil, salt and pepper. 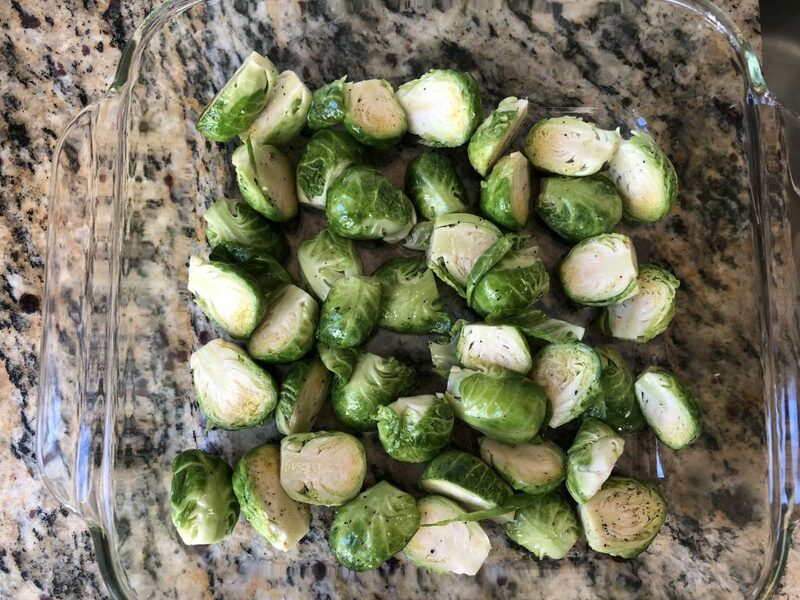 Roast brussels sprouts for 30 minutes. Drizzle in the maple syrup, and carefully toss to coat. Cook for another 15 minutes. 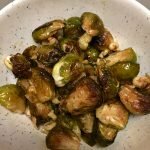 Toss the brussels sprouts with the walnuts and serve. 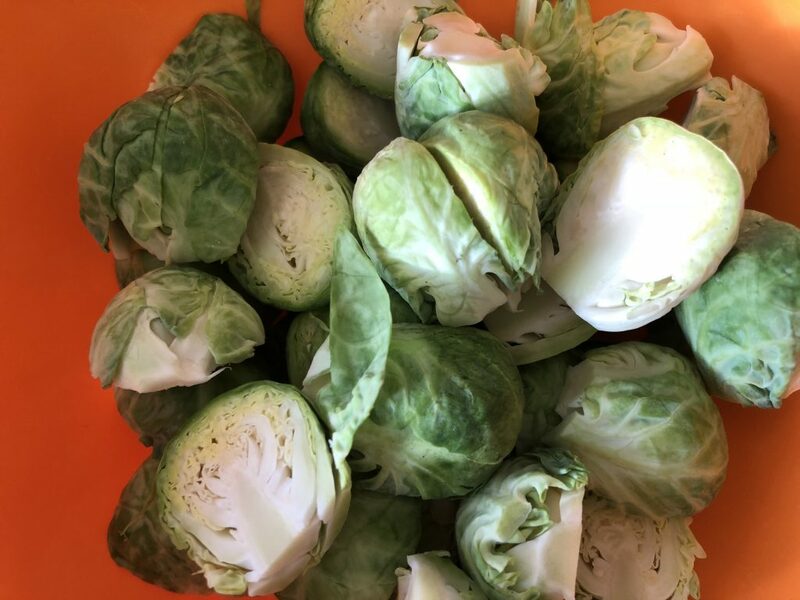 Seriously, best vegetable EVER! I hope you enjoy these are much as I do! Preheat oven to 350 degrees. Place the walnuts in one layer on a rimmed baking sheet. Bake for 10 minutes, or until lightly browned and fragrant. Keep an eye on them because nuts can burn quickly. Set aside. 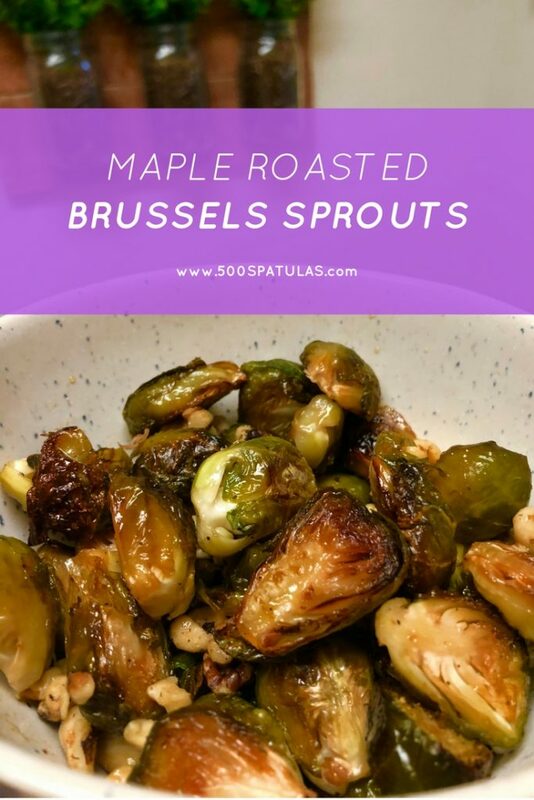 Turn oven temperature up to 375 degrees. 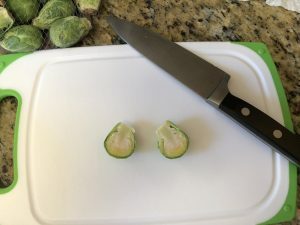 To prepare the brussels sprouts, cut off the stems, remove any yellow or brown outer leaves, and then cut the sprouts in half. 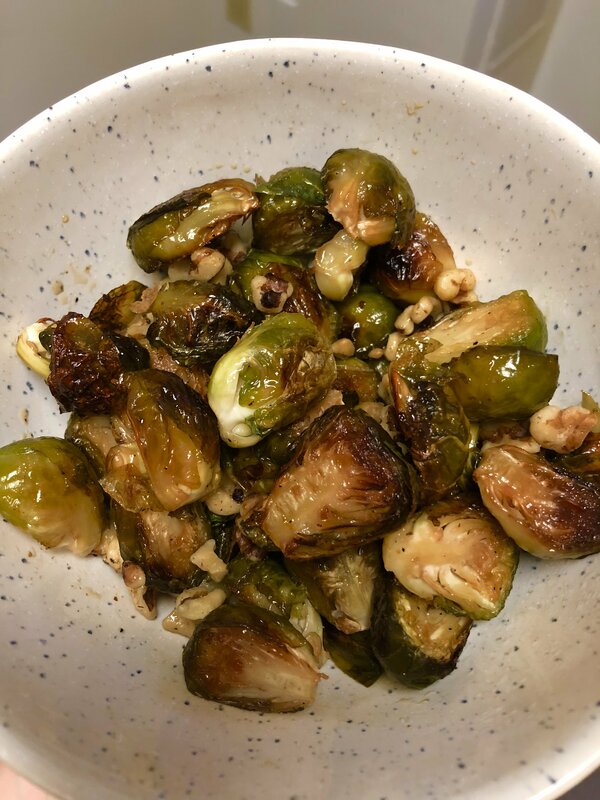 Toss the brussels sprouts with the walnuts and serve.